Jean also will consider commission work, and is happy to provide estimates based on submitted photos. ​Prices will vary depending on complexity. 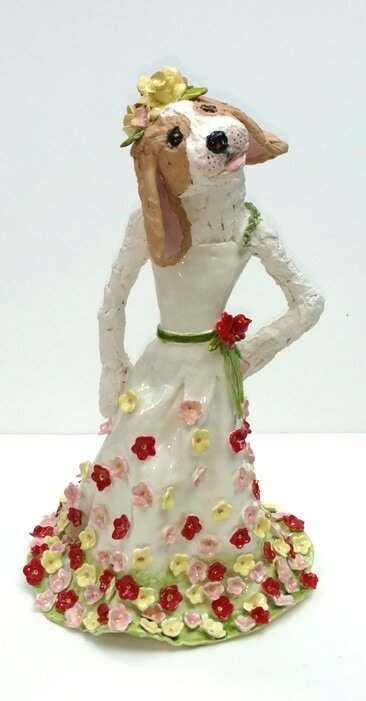 Below are samples of her completed ceramic portraits. ​minded and divine in pink. ​is not always black and white. Her favorite pastime is looking for buried treasure, if that treasure is in one of the office trashcans. where he's not required to show his birth certificate to use the ​litter box. This is Oliver, who's human says is 18 years old and "sleeps a lot." surround of this fireplace mantel.